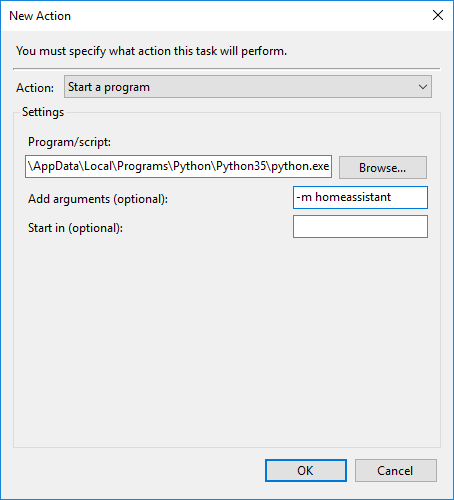 How do you autostart Home Assistant on Windows 10? 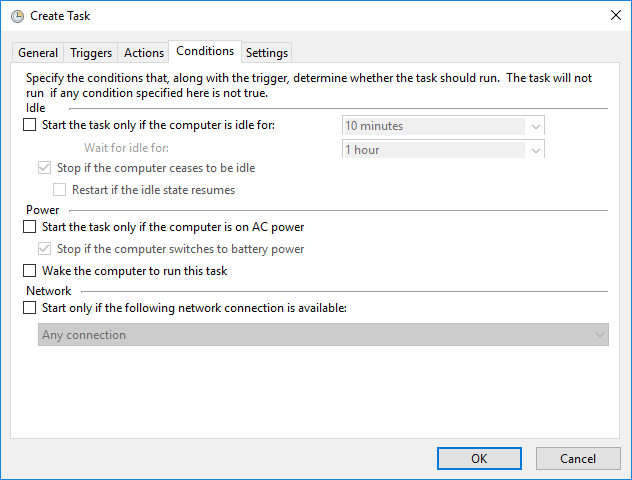 Under Conditions tab, uncheck “Start the task only if the computer is on AC power”. I need this because I want it to run even if the PC is on battery. You can skip this. 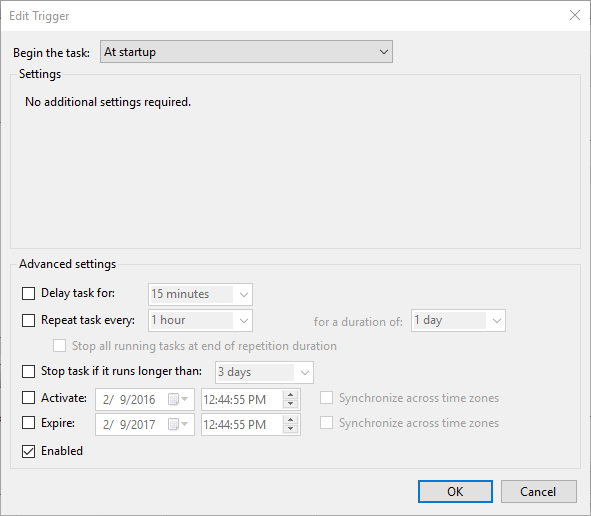 Under Settings tab, uncheck “Stop the task if it runs longer than:” so that it will continue to run forever. Once you click OK, it will prompt you for your password. 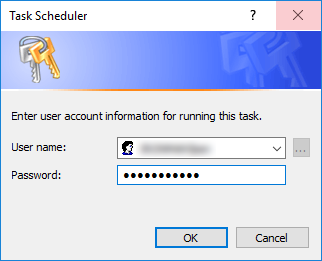 Enter the password you normally use to logon to your Windows. To test it, reboot your PC and wait for few minutes before try to load the page in your other PC. What about adding this great instructions in the installation section in the portal?? Any admin can do it?? start /min cmd /C "%~dpnx0"
But that requires to log in in the system, doesn’t it? On the other hand master’s solution is more service oriented. Mine doesn’t run as a service correct. 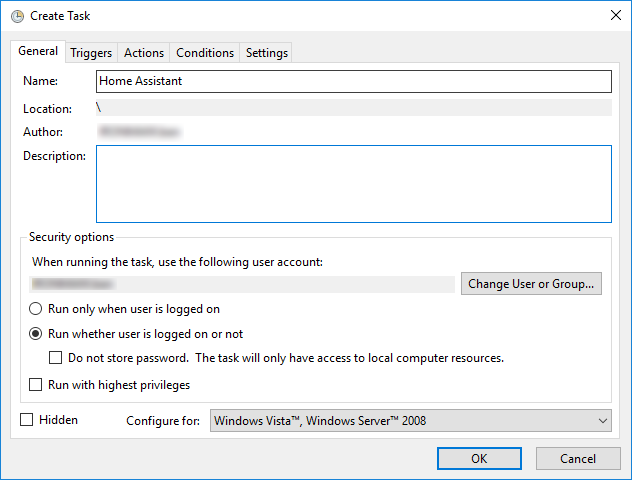 It is on a headless windows 10 pc I use as a server so it doesn’t have users or sign in accounts. However it does do what I want and what the title of the post asks about. Auto starting on windows. I have a shell command that runs a python script to play a sound on my windows machine. If I run HA in the command terminal, the shell command plays the sound. 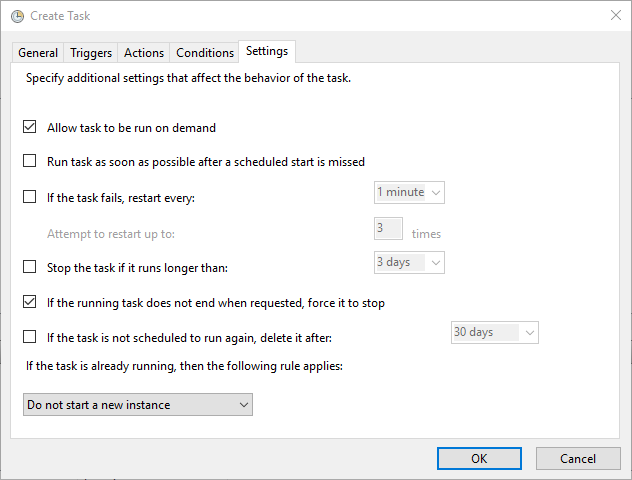 When I run HA by the Task Scheduler, the shell command doesn’t play the sound. Do you know how I can get it play a sound with Task Scheduler?